The 2019 course brochure is HERE! Registration is now open! This matrix will show you which classes can be paired together to make the best use of your time. The Iowa Municipal Professional Institute (MPI) stands as one of the nation's largest Institutes; bringing together more than 200 municipal professionals each year. The Iowa MPI offers a variety of courses to assist municipal professionals in their day-to-day duties. It also provides educational credit toward certification by the International Institute of Municipal Clerks (IIMC) and/or the two certifications offered by the Iowa Municipal Finance Officers Association (IMFOA). The annual courses allow for personalized interaction with faculty and staff from universities or other individuals involved with municipal administration while updating on new laws, programs, and technology affecting Iowa municipal government. The Iowa Municipal Professionals Institute Curriculum Self Assessment tool allows past participants to manage their courses and progress in the Institute. WHEN REGISTERING, PLEASE NOTE: BA150 Group Dynamics and FX240 Coping with Controversy build on one another. These two sessions provide learners a solid foundation for understanding how to work with people of various backgrounds and opinions, and how to end most interactions feeling empowered. It is helpful to register for both of these courses in the same year. We sell sweatshirts as a way to keep everyone warm (the rooms are sometimes chilly) and help raise money to offer scholarships. Sweatshirts are available for $28 ($30 for XXL & XXXL) 2019 MPI-MPA. 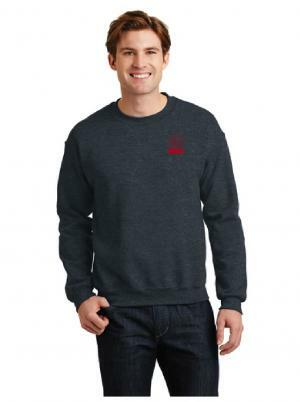 The sweatshirts will be dark gray with the logo in red. If you wish to stay at the conference center, make your room reservations directly with Gateway at 1-800-FOR-AMES or (515) 292-8600. Please identify yourself as a Municipal Professionals Institute attendee and request the MPI room block. Registration fees differ per course and year. Fees can be estimated using the registration information found in the 2019 Program and Registration Brochure at the top of the page. Course materials will be available before the start of the 2019 Institute. Check back in July 2019!